Playing on the mp3 player (Zune): “Did I Let You Know” by Red Hot Chili Peppers – since I have a sleeping cat in my lap, I can’t booty dance in my seat like I want, but nonetheless, this is my current jam (many thanks to my bestie for getting me hooked!). 10) “7 Ways Add Variety to Your Dialogue” by Marcy Kennedy & Lisa Hall-Wilson on Girls with Pens. Dialogue, dialogue, dialogue! THIS is what makes a story. While I enjoy the descriptions and world-building of a great story, what makes it an enjoyable read for me is the dialogue. You learn more about the characters through their interactions with one another. I particularly enjoyed this article because Marcy and Lisa show us how to change up our dialogue so that we’re not using the same technique over, and over, and over….. Get over there and read this and be sure to either print or bookmark this one. I can guarantee you it will come in handy while you’re writing. 8) “Guest Author Dana Marton: 7 Tips to Improve Your Novel’s Pacing” on The Other Side of the Story with Janice Hardy. Ah, yes! The importance of pacing in your novel in order to keep the reader interested and not want to put it down to get some sleep although it’s 4am and they have to be at work at 6am <—Yes, a book has done this to me and it was worth every hour of lost sleep. *smile* Dana gives us seven simple key point on how to improve the pacing of our MS’s, and I’m so incredibly thankful for how understandable she has written this out for us all. I’m sure there are loads more tips out there on pacing, but this particular article will be easy to tuck away and pull out when it’s time for some dreaded fun-time editing. 5) “Guest Post: You Must Write High Concept!” by Laura Pauling on Harry Potter for Writers. Just about every book you pick up on the shelf these days is high concept. I honestly don’t think I’ve read a powerful but literary story in a looooong time. Readers want a MC they can latch onto and a world they can escape to. Both of which, in my opinion, can only be found in high concept novels. I liked this particular article by Laura because she simply put it out there: What is it? Do you want to create it? Do you have to? And what about after the idea? <—that’s the BIG one right there. Even with a high concept idea, you still need to have all of the other elements of craft in place in order to make it work. 4) “Engaging the Reader” by Lydia Sharpe on The Sharp Angle. This article sort of goes with the above pacing article from Dana (#8) since pacing is a way that we can keep the reader engaged in our story. Lydia tells us what makes her, as a reader, DNF a book. By doing this, she’s provided a wonderful lesson on what to do in order to keep our readers engaged by taking a look at prose/writing style/voice, cliffhangers vs tension, and making the reader think vs being preachy <—I really really dislike this one as a reader also, so I have definitely made sure that I steer as far as away from sounding preachy as possible! 3) “Can You Really Force a Character to Do What You Want?” by Lisa Gail Green on Paranormal Point of View. “I don’t care if you’re 7” tall & muscular, Rick. You’re got to fit through that doggie door!” Yeah…that wouldn’t work, and neither would asking Rick to do something that is not in his nature in your story. Lisa makes a fantastic point in this article: characters are just like people, and like people, we can’t change everything about them to fit this vision we have in our heads. Maybe you just need to change some small things about them, and that’s okay, but drastic changes? Not so much. I like Lisa’s idea suggestion: “Maybe they weren’t the right character for the situation. Maybe you need someone else.” Hmm…I’m thinking back to my difficult character post and it’s making me wonder if I should try inserting a different character until the stubborn one is ready to open up……. 2) “Are All Writers Delusional?” by Jami Gold. *raises hand* “Yes, Jami. 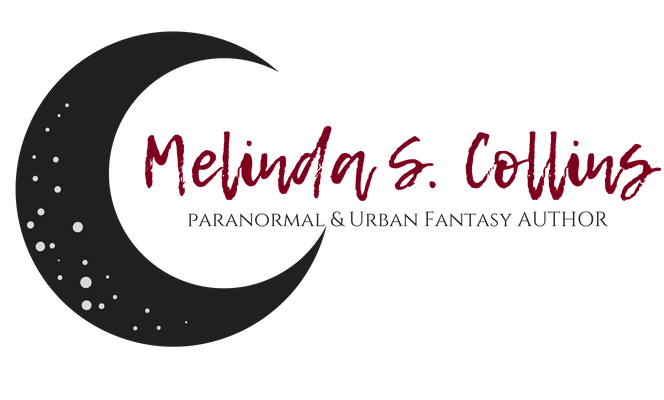 My name is Melinda and I am a delusional writer who lives in a world full of vampires, lycans, witches, warlocks and sorcerers.” <—Did you see that? Admission is the first step. *grins* I thoroughly enjoyed Jami’s analogy of big fish, small pond (and vice versa). There are times where we *think* we know what we’re talking about and *think* we’re giving the best advice, but guess what? Maybe we’re just small fish in a big pond that need to hop back over into our home pond and gain more knowledge first. When it comes to my writing, I like to think that I’m not delusion by knowing I’ve got a great idea/plot. I also know I’m not delusional by thinking that the MS that comes out of said idea/plot really needs work. This is why I look to others like Jami Gold, Lisa Gail Green, SP Sipal, Tina Moss, Kristen Lamb, Lydia Sharpe, Angela Ackerman, Marcy Kennedy, Lisa Hall-Wilson and others to help me along the way. It’s also why I put this post together every week so that others can learn from the vast knowledge they share with us. And…. here’s something fun for your Friday! I’m going to let my geek flag fly high today by sharing this awesome video with you all – courtesy of my hubby. A computer programmer made special floppy drives – remember those? – so that when they are being read by the computer, they play a song. 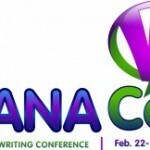 By Melinda CollinsIn The Write StuffTagged #MyWANA, floppy music, writing, Writing Craft Links7 Comments on This Week in Favs….. Previous Previous post: World-Building: It’s Not Just For Kids! I love, love, LOVE your background. Where did you find it? My blog needs a serious background upgrade, so I’ve been trying to keep an eye out for something new. Thanks so much for the mention–it’s an honor to be included with these guys–they are all some of the best bloggers out there! You are far to good to me, Woman! What great picks! I enjoyed all those articles. Thanks so much! Jami: You’re most welcome! Thank you so much for the reply to my post on your blog. I’m getting there 😉 Thanks again!! You’re most welcome!! You always have great, informational posts. Awesome links as always! I actually read this yesterday, why I didn’t comment? Who knows what goes on in my brain, it’s a scary place sometimes. 😛 Thanks for the link! !